Zanshin Self Defense Academy has been teaching practical and effective self-defense for men, women, and children for over 15 years. Our combination of traditional martial arts and modern training methods allows us to prepare our students to succeed in real world. Conveniently located in Syosset, we serve Plainview, Hicksville, Syosset, Huntington, Cold Spring Harbor, Laurel Hollow, East Norwich, Oyster Bay, Oyster Bay Cove, Woodbury, Jericho and other communities in Nassau and Suffolk counties. At Zanshin Self Defense Academy, we teach Goshin Budo Jiu Jitsu, a comprehensive martial art that deals with all ranges of combat. Martial Arts training provides numerous benefits including increased concentration, self-confidence, balance, coordination, flexibility, and strength. Our programs have been specially designed to provide all these benefits while instilling students with the skills, mindset and character to defend themselves. 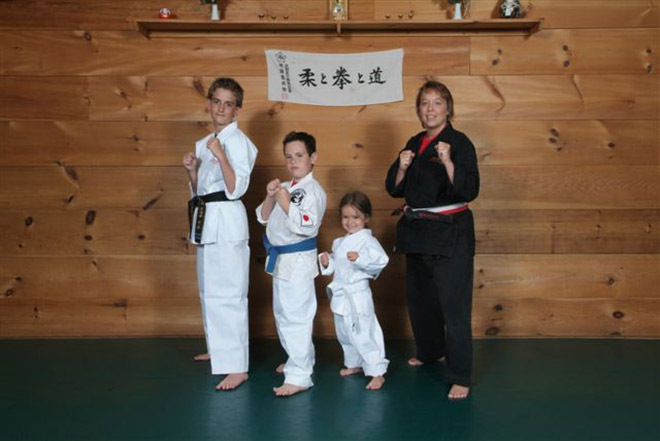 Our family-friendly school has classes for all ages and skill levels with flexible schedules and reasonable tuition. Come in and find out how we can help your family learn and grow. New classes are starting now! Click here to find out more about joining. Little Ninjas from Joe Damiani on Vimeo.